Product prices and availability are accurate as of 2019-04-24 19:51:12 UTC and are subject to change. Any price and availability information displayed on http://www.amazon.co.uk/ at the time of purchase will apply to the purchase of this product. 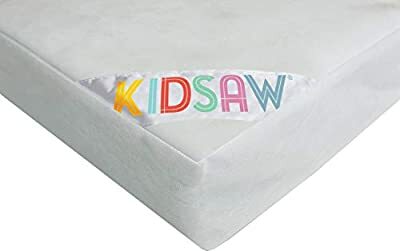 The Kidsaw MAT5 Cot Foam Mattress is part of the Kidsaw Collection, and is brand new to Bed SOS. 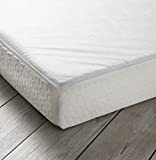 This foam cot mattress is made with Combustion Modified High Resilience Foam to comply with Government Regulations of Ignition and comes with all the relevant BS standards! It is free from antimony, phosphorous or arsenic fire retardant chemicals. The Kidsaw cot foam MAT5 mattress is manufactured to fit the Kidsaw Teddy CUB Cot KNC1 perfectly. 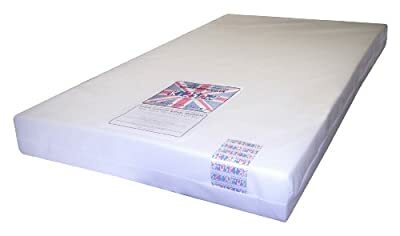 The cot foam mattress MAT5 has a removable corovin fabric cover which is soft touch and easy to remove for washing. 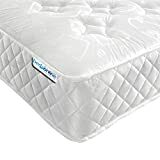 Kidsaw recommend that the MAT5 mattress cover is either hand washed or put on a gentle machine wash of no more than 60 degrees, using a mild detergent. Kidsaw also recommend that you turn the cot foam MAT5 mattress regularly, ensuring your baby receives the best comfort results. 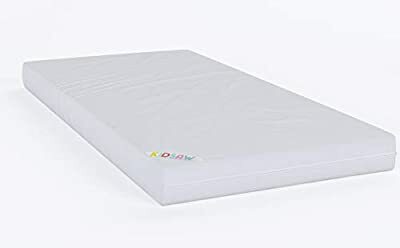 The Kidsaw MAT5 mattress is available with free next day UK (mainland only) delivery and comes with a 1 year manufacturers warranty.